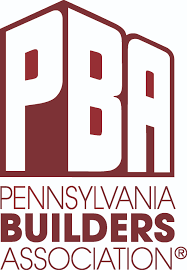 Gregory J. Geyer, founder and owner, and a native of Downingtown, PA has over 20 years of professional home building and remodeling experience. Greg manages his company using the shared leadership process which ensures alignment across all facets of the project and fosters knowledge sharing among his team. Greg believes that the continual development and improvement of his staff will enhance his company's already high level of professionalism and quality of building. Each new project has the advantage of incorporating all of the past experiences to ensure Visions Builder clients receive the best quality home project possible. Visions Builder has established a highly recognized commitment to customer satisfaction. At Visions Builder, we understand that the customer is number one, which means we always have your best interest in mind. Our company strives for excellence in all facets of your project whether it is a finished basement, a deck, a custom home, a custom laundry room or any other home project required. Our greatest pride is in the unmatched service you receive long after your home or project is complete ensuring that you will be pleased for many enjoyable years to come. Our staff of professionals includes individuals with strong backgrounds in all facets of design, cost management, field support and supplier partnerships. Each member of Visions Builder has strong leadership skils and is driven to ensure only the top quality suppliers and tradesmen as part of the Visions Builder team.